The shoulder joint can perform movements that no other joint in the body can manage. The anatomy of this joint allows for more flexibility, even 360-degree circumduction, but this range of motion comes with limits for stability. When the shoulder joint is overused or extended, the various components can be injured, resulting in pain, inflammation and limited mobility. Dr. Kerisimasi Reynolds offers cutting-edge treatments for injuries and conditions that include the shoulder to facilitate recovery for his patients. The shoulder joint combines three bones – the clavicle, humerus and scapula – as well as cartilage, tendons, ligaments and muscles. The wide range of motion requires these elements to work simultaneously, but overexertion, repeated use and degenerative conditions can affect the mobility and function. Correcting shoulder conditions can require various treatments, including orthopedic surgery, which Dr. Reynolds provides at his clinic in the Bay area. 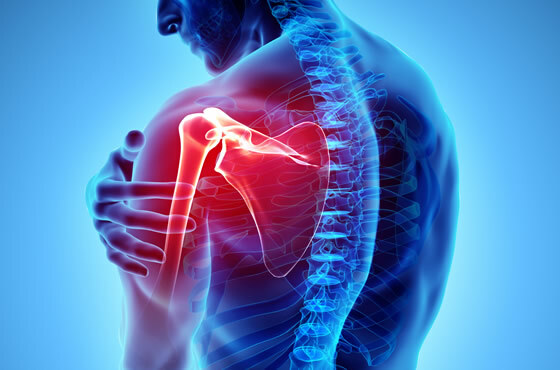 If you have sustained a shoulder injury or have ongoing deterioration of the shoulder joint, contact Dr. Reynolds to schedule an exam and treatment evaluation. Many shoulder conditions can be treated to restore mobility and reduce pain with surgical and non-surgical treatments. Contact our office today to book your appointment – we accept many major PPO plans and insurance to help reduce the cost of your treatment.